From the custom of adorning evergreens for spirits grew that of bringing them indoors for the winter, to offer them respite from the cold. As soon as the first buds appeared come spring, the spirits and their leafy hosts were discarded outdoors, for fear that they would become angry if cooped up too long. To this day, it's considered bad luck to keep decorations up after Christmas is over. Holly branches were the most popular home adornment thanks to their vivid red berries, which made a beautiful contrast with their natural counterpart, white mistletoe. For hundreds of years they were woven together to make Holy Boughs, which were blessed by the local priest, and then hung over the entrances of people's homes. 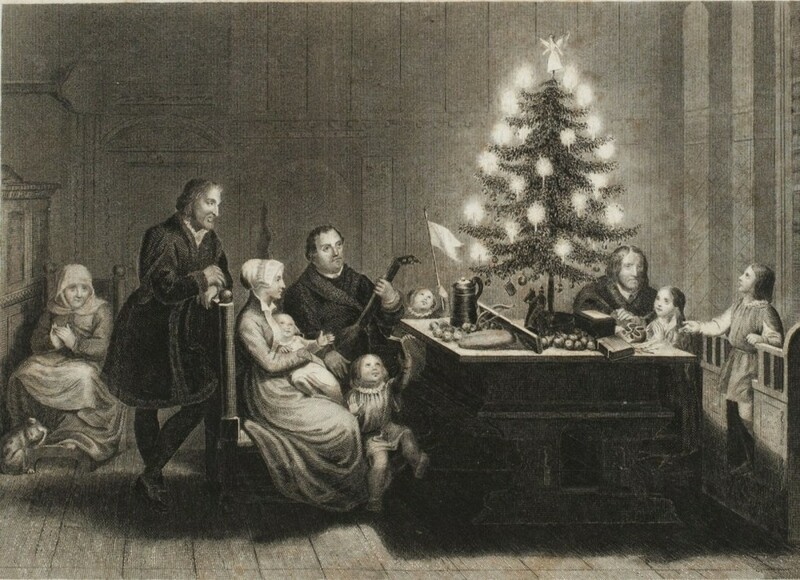 Any visitor who arrived during the Christmas season was embraced under the bough, as a sign that animosity had been abandoned. When Oliver Cromwell came to power in England in the mid-17th century, he ushered with him a far more austere Puritan ethos than the festive abandon which had prevailed before. Christmas was cancelled. Boughs were banned, and hung in only the most rural areas, blessed furtively by priests under pain of death. Even makeup was forbidden, to be scrubbed off women's faces if detected. Upon the return of the monarchy, Christmas was restored, but all was not as it had been. In defiance of Cromwell's reign of frigidity, the embrace under the mistletoe carried new connotations, and the name 'Holy Bough' was replaced by 'Kissing Branch'. Other traditions come from further afield. In Germany, rather than holly, tiny Christmas trees were hung over doorways as a sign of seasonal compassion. A boom in Christmas markets from the 15th century onward brought with it new additions to the institution, such as wax ornaments made from the honeycombs left after the gingerbread makers had used their honey. Tinsel came later - and was originally made from pure silver, and legend has it that candles were first included by the theologist Martin Luther. Original American decorations were more accessible for the common household, including painted popcorn on string. There are so many more little histories we don't have room for here. 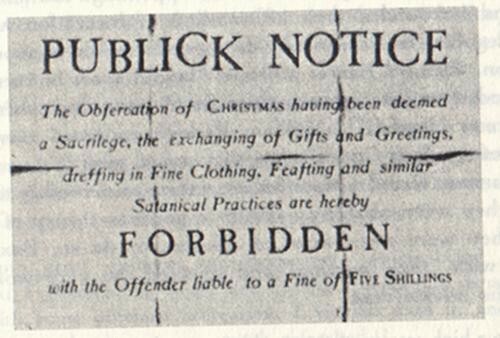 But if you find yourself hesitating as any less-attractive suitors advance under the sprig this Christmas, think on this: your ancestors fought for the right for these uncomfortable embraces, so stop being such a puritan, get in the (festive) mood, and pucker up!